The Courtyard by Marriott in Bridgeport, WV held their 2nd annual Root Beer Float Day on August 7th, 2018 to raise funds for Children’s Miracle Network with donations going directly to WVU Children’s Hospital in Morgantown, WV. The Courtyard was able to raise over $1400 for the charity. Root Beer Float day was filled with family friendly activities including crafts, games, vendor tables, face painting, character appearances and, of course, root beer floats. Tables were set up around the meeting room where local vendors could sell their products. 10% of all the revenue each vendor received was also donated back to WVU Children’s Hospital. There were character appearances for the children provided by The Little Glass Slipper Princess Parties of Weston, WV and Cartoon Headquarters of Bridgeport, WV. Face painting by “Miss Tea Cup” (Shirley Smith) was enjoyed by all. There was a crafting station organized in the board room for all of the kids to make bracelets and decorate cards for the patients that are currently at WVU Children’s Hospital. With the addition of selling root beer floats and other concessions during the event, the staff was so excited to raise over double the total from the first annual Root Beer Float Day. 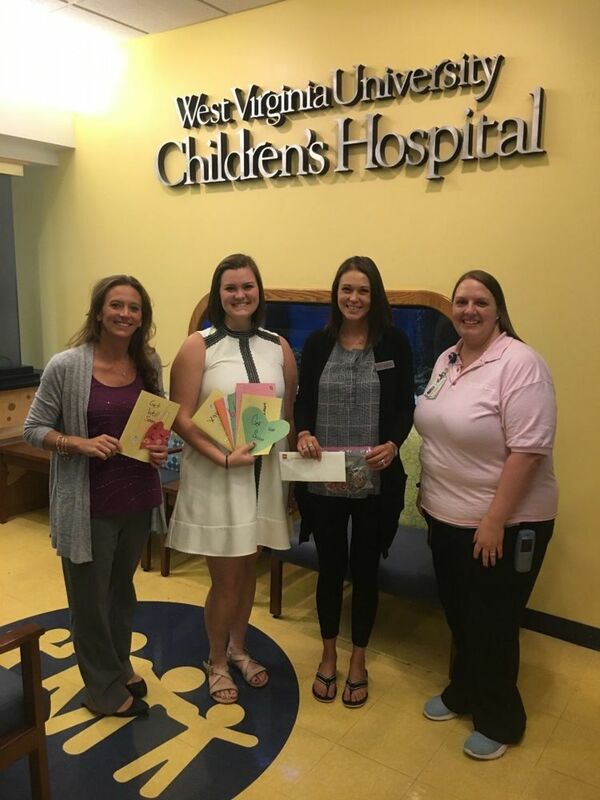 Sam Coleman (Sales Coordinator), Michelle West (General Manager), and Dee Johnson (WV Area Director of Sales) met with Ashley Olcak (Special program and Corporate Campaign Director, CMN, WVU Children’s) and Bridget Ullery (Child Life Coordinator, WVU Children’s) on August 29, 2018 to deliver the proceeds, cards, and bracelets from the event on behalf of the Bridgeport Courtyard by Marriott and Shaner. The Courtyard is very excited to continue this event over the coming years and assist Children’s Miracle Network in providing the best possible care for the patients at WVU Children’s Hospital. Editor's Note: Story written by Sam Coleman; pictured left to right are Dee Johnson, Coleman, Michelle West and Bridget Ullery.